Pharmacy takes further steps to separate itself from unpopular industry. CVS, one of the largest pharmacy chains in the U.S. represented by Edelman, stopped selling cigarettes and tobacco products last year in an effort to brand itself not only as a drugstore, but a company fully committed to the health of its customers. Now, the Rhode Island-based chain is further committing itself to an anti-tobacco stance by breaking with the U.S. Chamber of Commerce after a New York Times piece blew the whistle on the the lobbying group for fighting anti-smoking legislation abroad. 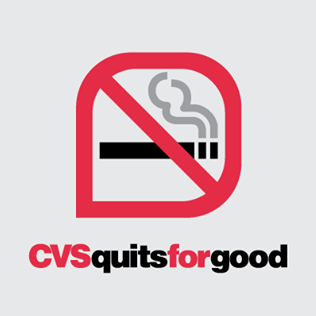 CVS Health’s purpose is to help people on their path to better health, and we fundamentally believe tobacco use is in direct conflict with this purpose. This organization is not in the business of promoting cigarette smoking at home or abroad, period…The Chamber believes that public health policy aimed at curbing smoking can yield positive results, while still upholding intellectual property protections, honoring international agreements, and not singling out any specific industry for discriminatory treatment or destruction of company brands. In other words, sure, it’s nice for governments to urge people to quit smoking, but we wouldn’t want the tobacco companies to feel like we’re picking on them. …the U.S. Chamber of Commerce and its foreign affiliates have become the hammer for the tobacco industry, engaging in a worldwide effort to fight antismoking laws of all kinds, according to interviews with government ministers, lobbyists, lawmakers and public health groups in Asia, Europe, Latin America and the United States. In light of all this, we’d call CVS’ move a smart one; not only does it shore up the company’s recent re-branding as a true healthcare provider, but it further hammers home the assertion that it truly is different from other pharmacy chains out there. Not only is it willing to stop selling a lucrative product to defend the health of its customers, but it’s eager to break publicly with a political and commercial powerhouse to stand by its commitment.